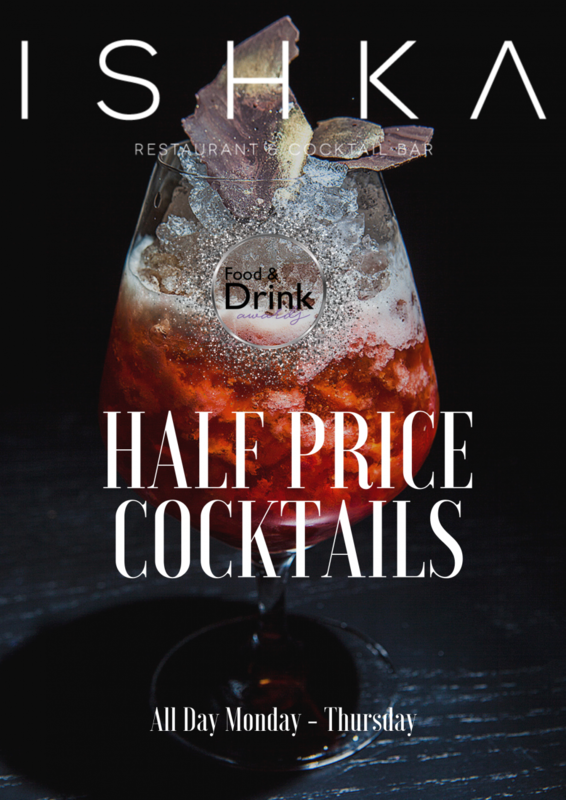 Half Price Cocktails! 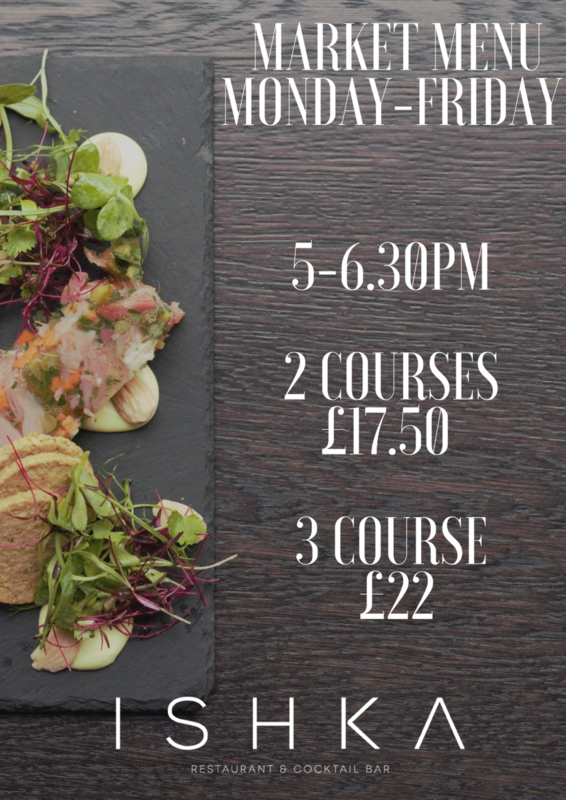 All Day, Monday – Thursday! 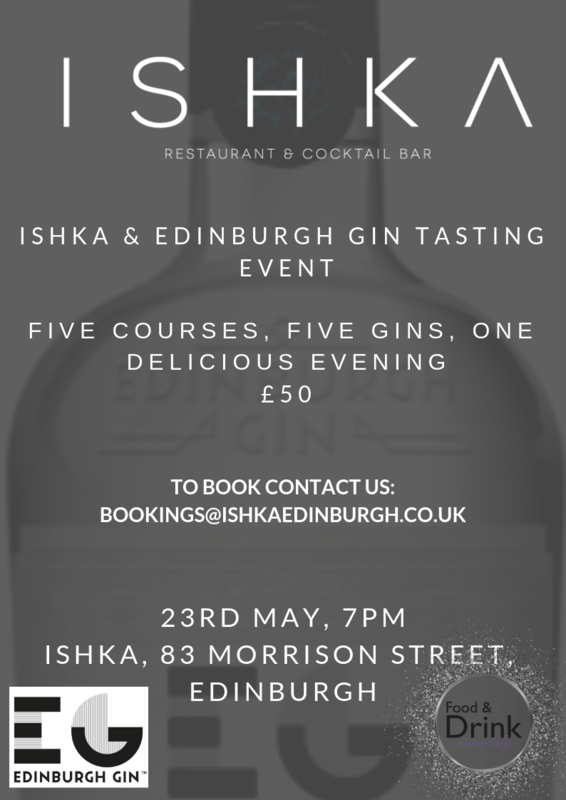 For a quick bite to eat, a lingering lunch or a delicious afternoon or evening sipping some fabulous cocktails, ISHKA is a fabulous addition to Edinburgh’s vibrant restaurant and cocktail scene. 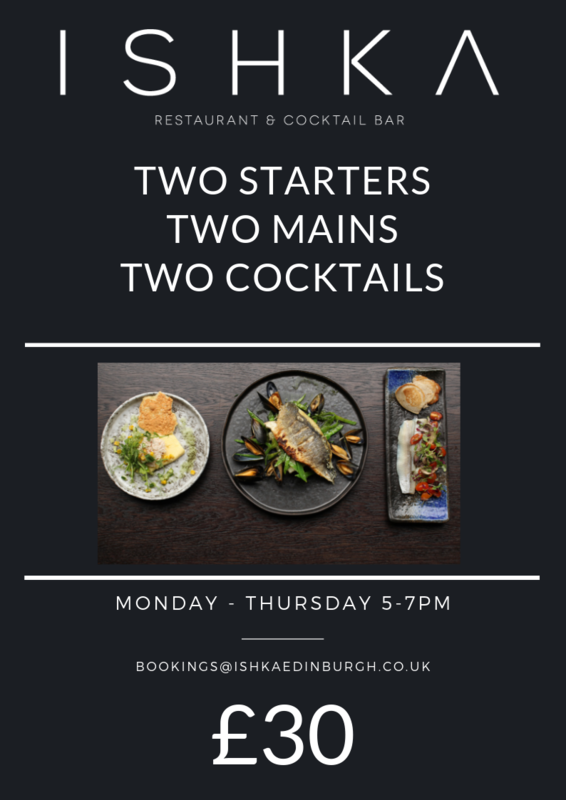 If you’re in for a quick bite to eat at lunchtime, or off to the theatre, then why not sample our Market Menu.